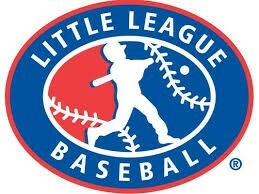 Updated Friday January 25, 2019 by Carson Valley Little League. Welcome to the Carson Valley Little League homepage. We are looking forward to the upcoming 2019 season. We look forward to seeing our returning players and meeting the new ones! Check out the schedule for important dates this season. Please take a moment to explore our site and learn what is available. As we complete registration, please check back often to view updates and see the tools for communicating with your team. In addition to our website, there is a mobile app called Team Wall for use with our website. Download the app and login with your same credentials to receive updates and notifications directly on your phone. Our League season runs from early March to the end of May for regular season. We have an end of season tournament for the Majors and Minor AA Division teams that completes by the 14th of June. Then its into the All-Stars for 9 through 12 years old who are interested. The All Star tournament begins in late June and is complete by the first week of July . There is plenty of baseball!